When it comes to excellent coverage, shade range, and performance, we admit we opt for high-end concealers to deal with our blemishes and eye bags. But what if we told you that you could get the same results from drugstore options? 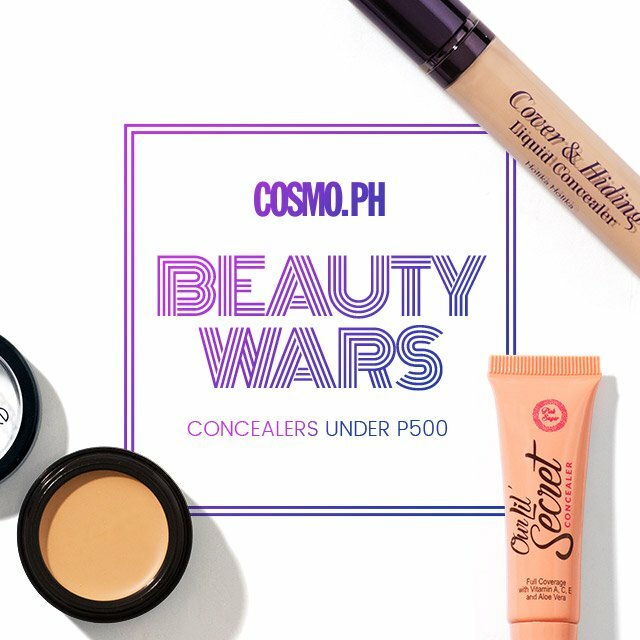 For today's edition of Cosmo.ph Beauty Wars, we tested three different concealer formulas—dry, liquid, and cream—to find out which one works just like a luxury product, for a fraction of the price! What It Is: A waterproof and highly pigmented cream that blends seamlessly onto the skin to conceal and color-correct scars, pigmentation, and the under-eye area. Why We Love It: This was amazing for covering our blemishes because it was matte and it actually lasted a long time! But we wouldn't recommend this for the under-eye area as its formula is too dry; it ended up looking cakey on us. What It Is: This lightweight concealer is the perfect undereye cover as it nourishes and hydrates the skin while brightening and smoothening. Why We Love It: While the coverage was so-so, we loved how light it felt on our skin and how easy it was to blend. It started to disappear after four hours, however; good thing it had a doefoot applicator for easy touch-ups! What It Is: A long-wearing, vitamin-enriched, and long-lasting concealer that fights inflammation and irritation. 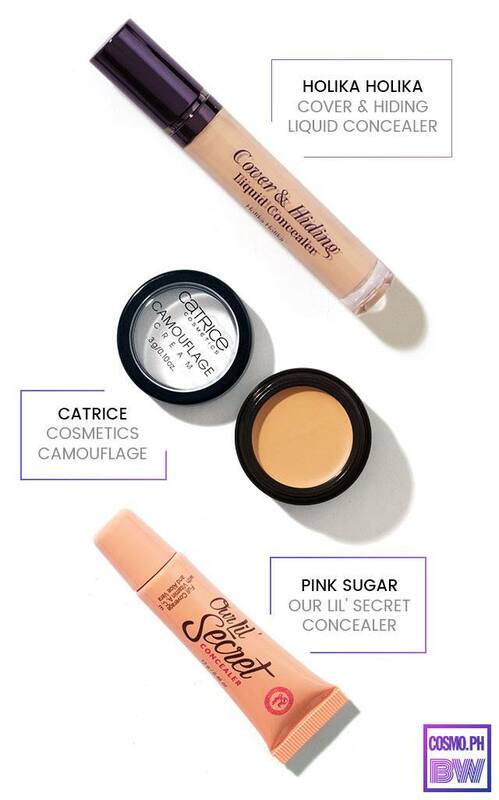 Why We Love It: If someone combined the Holika Holika and Catrice concealer, it would be this—it has all the best parts of both products and it sets on its own, so even if we didn't have any powder we wouldn't be worried about it fading or moving!